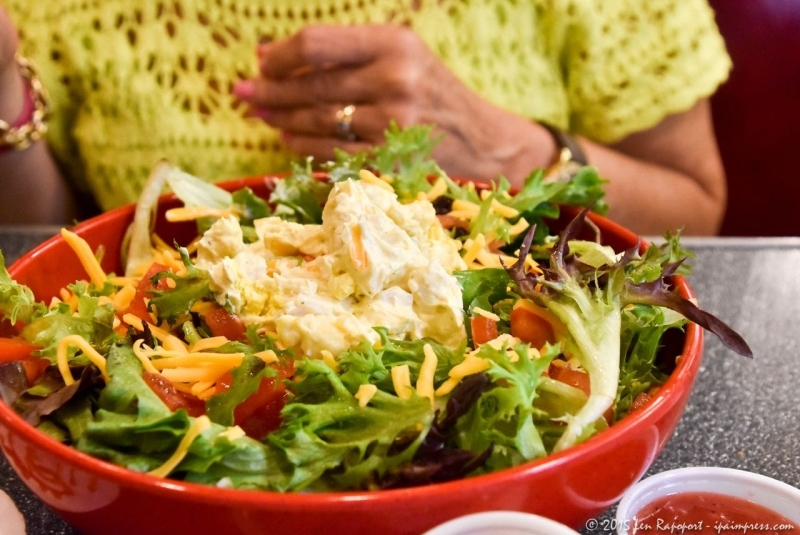 As our readers know I try to find new restaurants and eateries that I can recommend to our readers. They don’t have to be in Hazlet, but should be restaurants that Hazlet residents might visit. 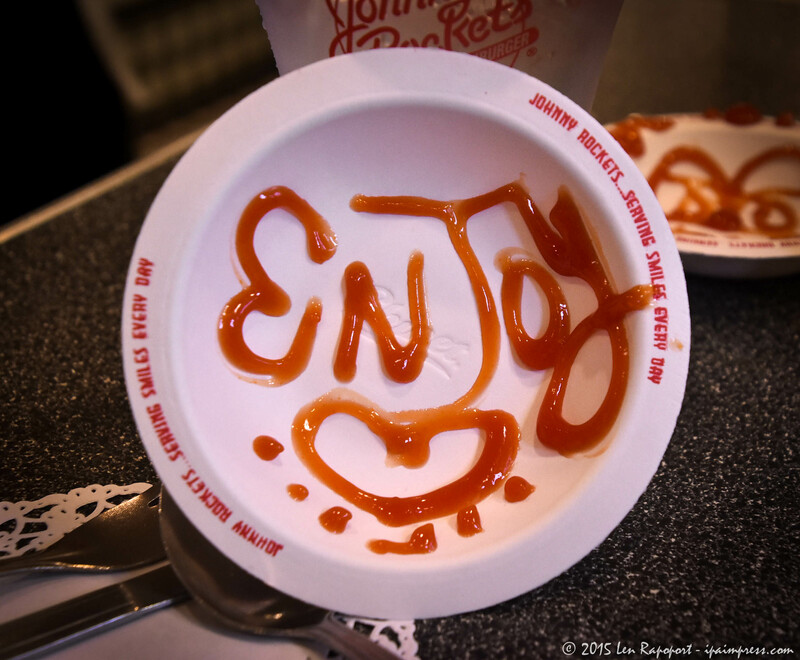 When shopping at the Monmouth Mall, we decided to stop by Johnny Rockets. 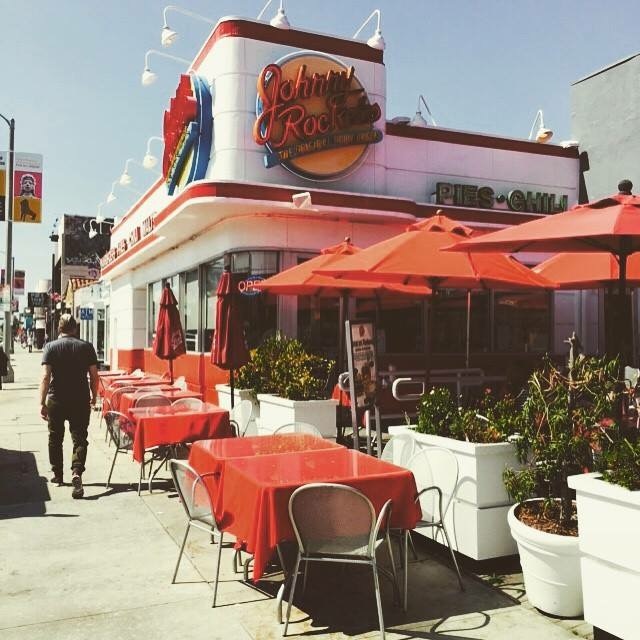 Now I go back a long way with Johnny Rockets and in the late 1980’s when I would travel on business to Los Angeles and visit relatives there, they would take me to this new rocking burger joint…yes it was the first Johnny Rockets on Melrose Ave. in LA. I checked their history at Wikipeadia and here is an excerpt. 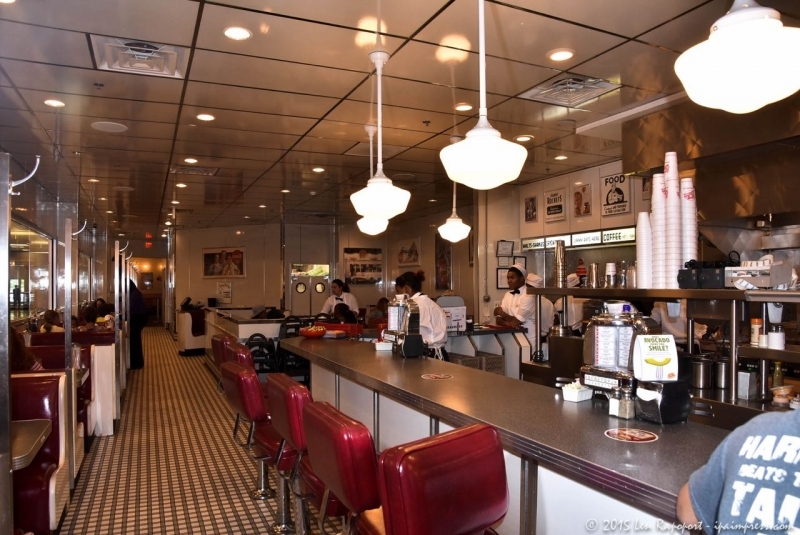 Johnny Rockets is an American restaurant franchise whose themed decor is based upon 1950s diner-style restaurants. 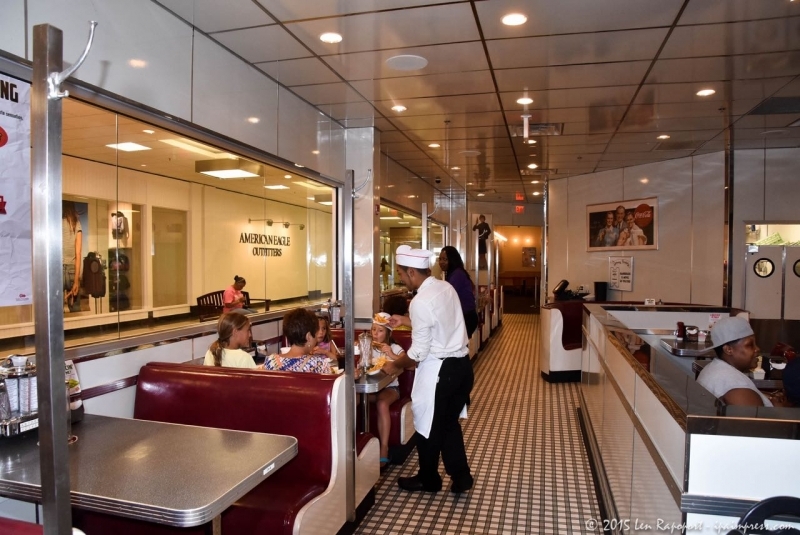 Decor includes Coca-Cola advertising featuring nearly life-size cardboard illustrations of women in World War II armed services uniforms, individual jukebox stations, chrome accents and red vinyl seats. The staff at some locations are known to sing and dance every half-hour. 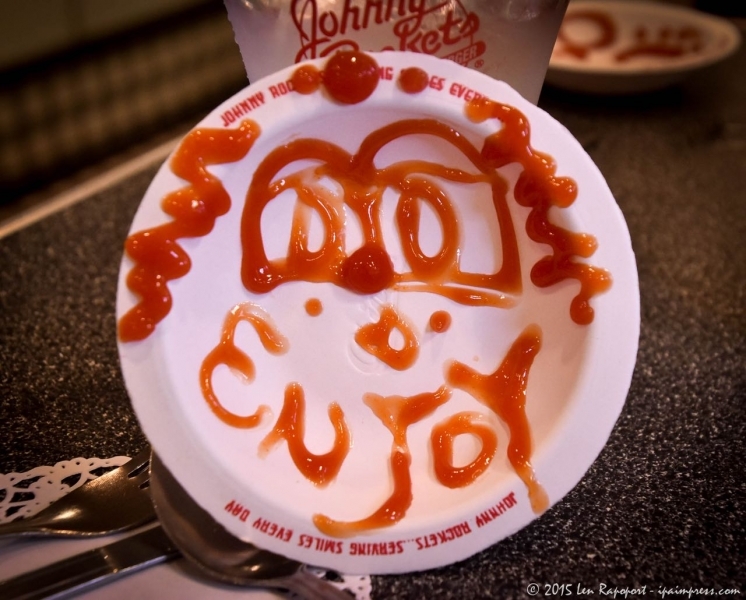 Making a smiley face with ketchup on the paper plate when serving French fries is a Johnny Rockets trademark. 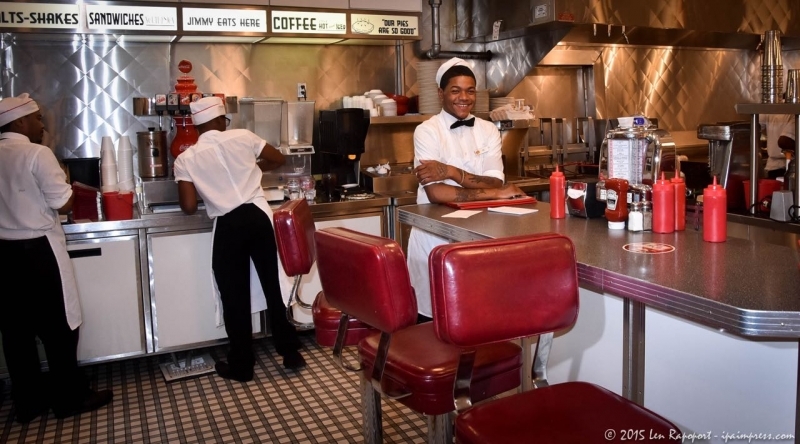 Johnny Rockets has about 330 corporate and franchise-owned restaurants in 32 states and 27 countries, including 15 Six Flags amusement park locations and 12 Royal Caribbean cruise ships. 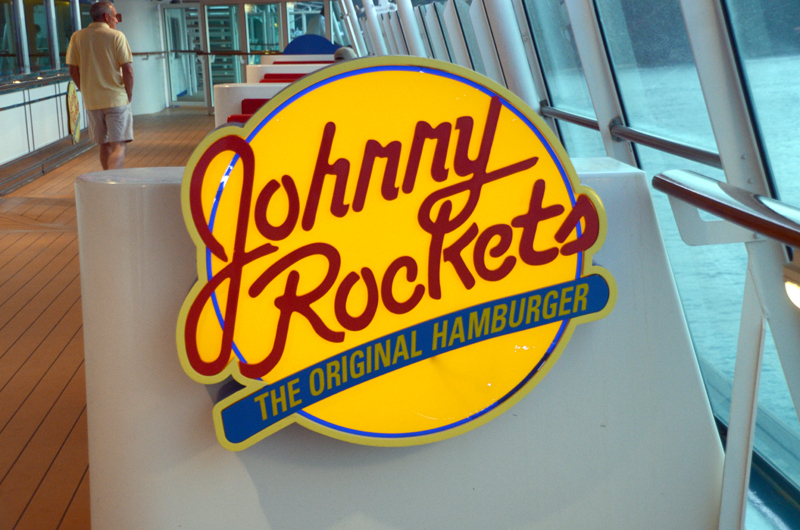 I have been to a number of Johnny Rockets over the years and loved to even find them on some of the Royal Caribbean Cruise ships we have been on. You can see one of them in our article and video on the Independence of the Seas. 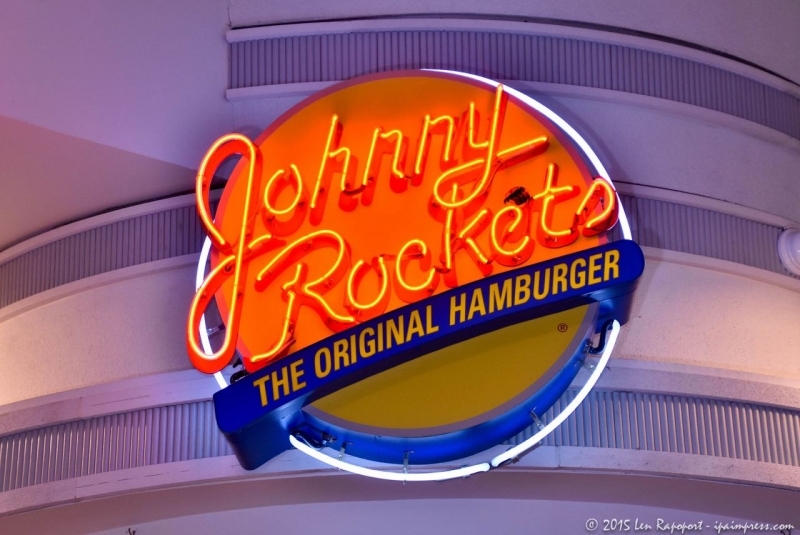 I had made contact with Jim Hicks, senior vice president of domestic operations to find out more about Johnny Rockets and how they can compete it today’s burger wars. I knew that McDonald’s and others were having a hard time doing so and that their breakfast menu items and coffee seemed to take over where hamburgers used to be as their most profitable menu items. 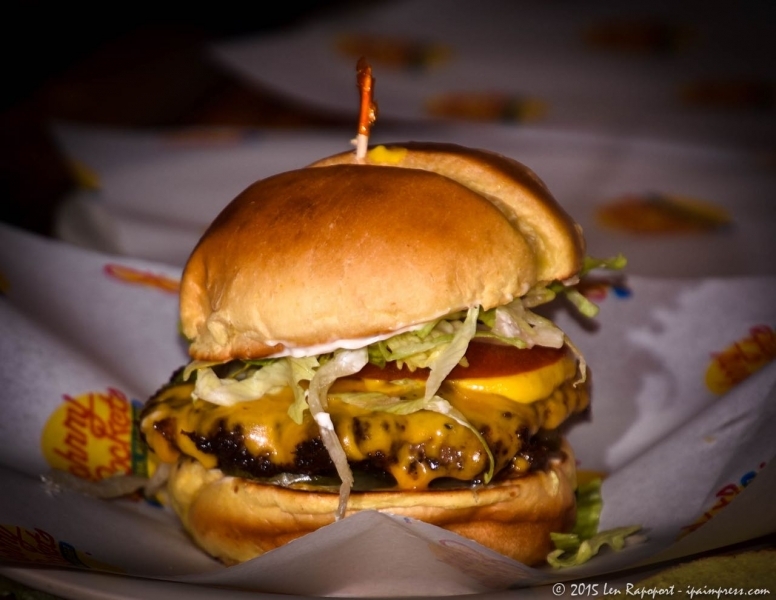 So how would Johnny Rockets measure up? 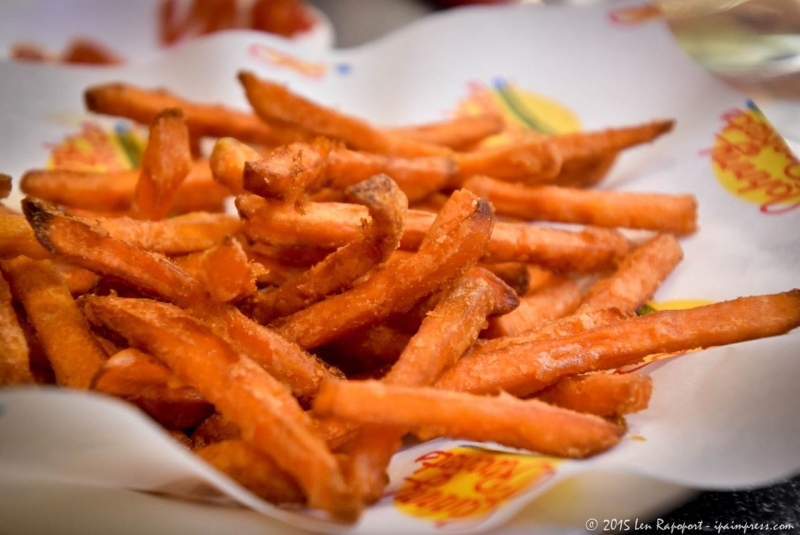 I loved the Johnny Rockets experience and their freshly made hamburgers and fries. 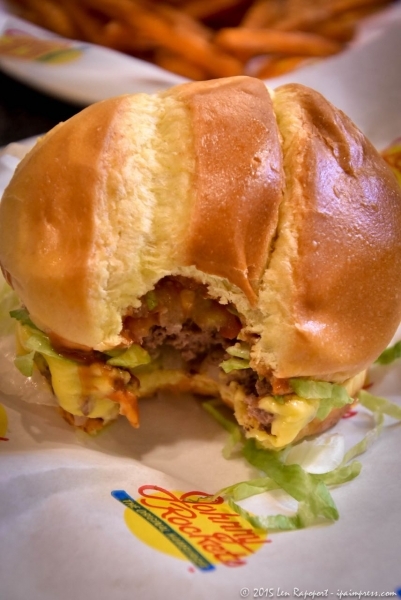 I thought a visit to one of their locations would be a great way to find out if they were still delivering the same quality burgers and fries they did back in the 1980’s when I first visited their location on Melrose. They arranged for me to meet Ingrid Williams their regional manager who oversees many locations on the East Coast as far away as Washington, DC. I had a few conversations with her and with Jim Hicks on the phone and wanted to see if they were up for the burger challenge, they were. 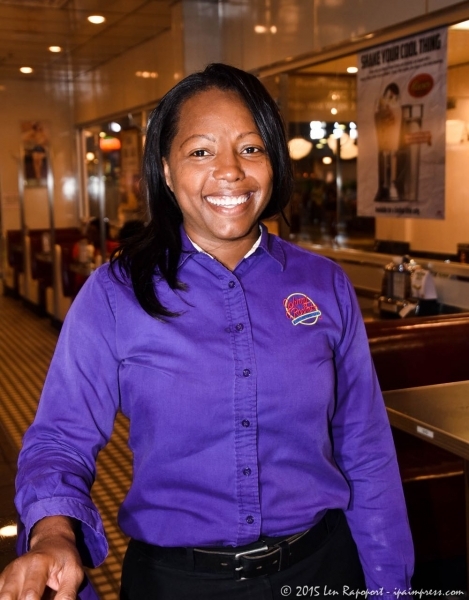 We met at the Johnny Rockets in Monmouth Mall in Eatontown. I wanted to pick a quiet day so I could take my photos and some video clips for this article. On my arrival I was greeted by Ingrid who introduced me to their manager Ed DiSpirito. I later found out shared a history with me from my home town of Brooklyn, New York and where I grew up, Coney Island. Ed is a great guy and a very hard worker. I watched him greeting new guests at the door, taking orders, cleaning tables and making sure his guests were being treated properly. We talked about the job of a GM at restaurants and how important it was to understand that a restaurant is part of the larger hospitality industry and needed to make guests feel welcome, which he did. 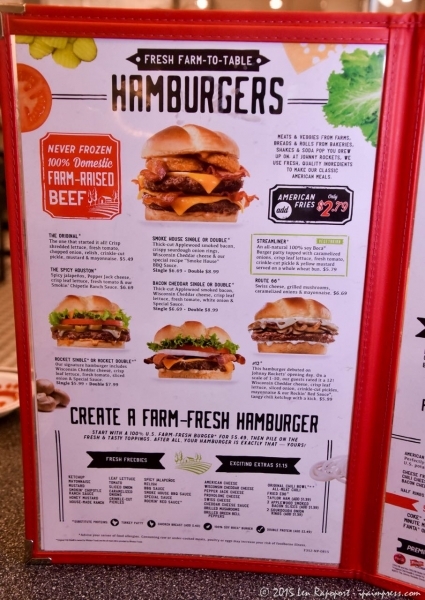 Many franchise burger restaurants will use frozen patties and will cook them on a grill and put them in a draw awaiting an order. 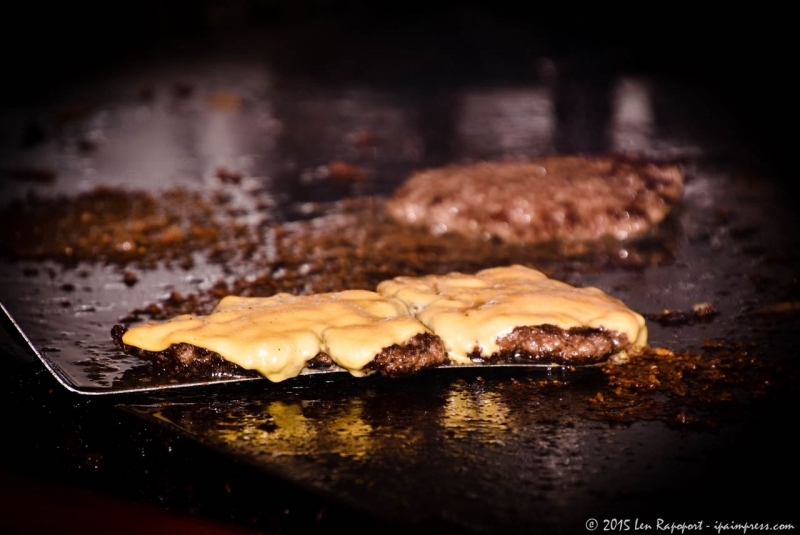 They are not cooked to order and they are not made from fresh ground beef. So when you go to your local McDonald’s don’t be surprised if the burger is dried out, tasteless and overcooked. In addition, health and safety is an issue when you order a hamburger at these chain restaurants. All meat, fish and poultry today contains bacteria and ground beef contains the most. 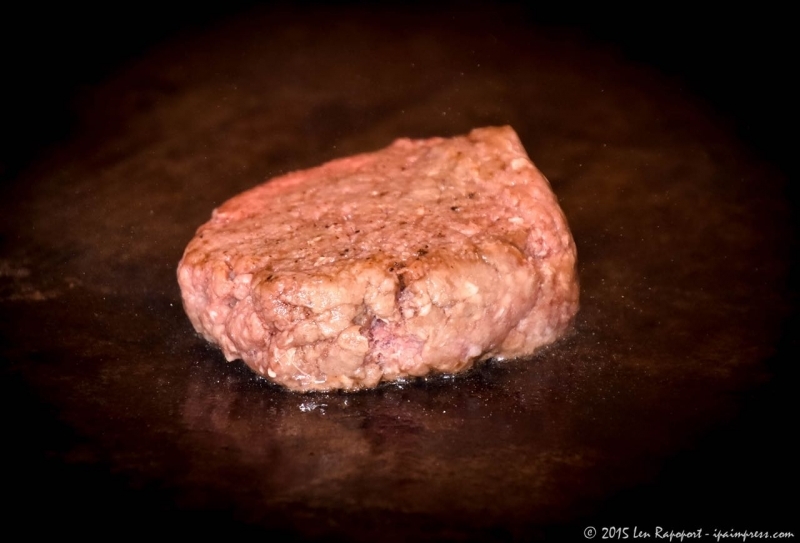 Unless the ground beef is cooked through and through and at a temperature above 160 degrees, there is a health danger. 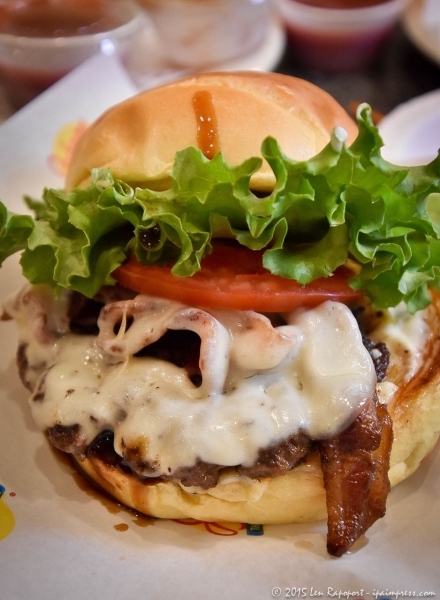 So we all know that you need to order well done burgers when we dine out, no matter where you go. 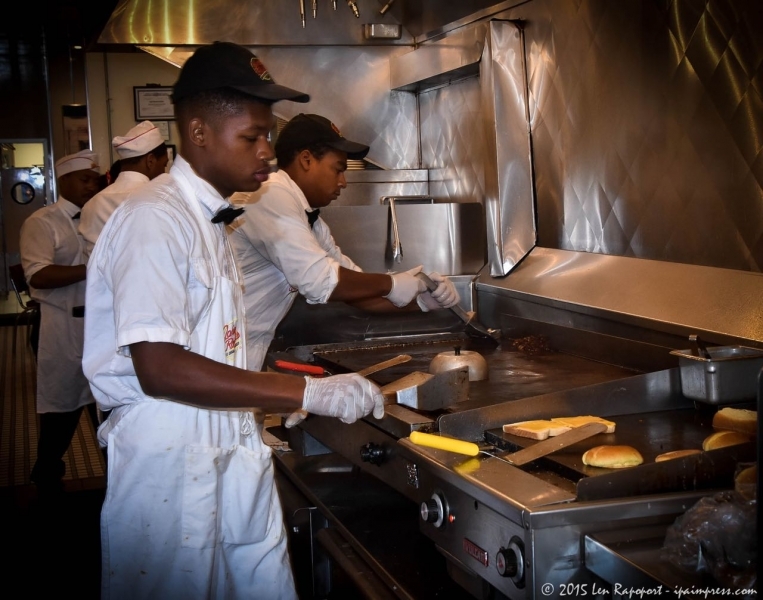 By cooking fresh ground beef on the grill at high temperature and flattening them down to make sure it is cooked through and through Johnny Rockets can feel confident that their customers will enjoy their meals and stay healthy. I also took note that all of their cooks and those handling the food were wearing protective gloves to make sure there was no cross contamination as well. When I visit a traditional restaurant or diner, not a burger chain, that has burgers on their menu, I can expect to pay upwards of $12 for a burger and some fries and I have found some use frozen patties, not fresh ground beef. At McDonald’s, Burger King and others, their burgers at 1/4-1/3 pound cooked can cost from almost $6 to over $7 for the burger alone and that is certainly from frozen patties never fresh. 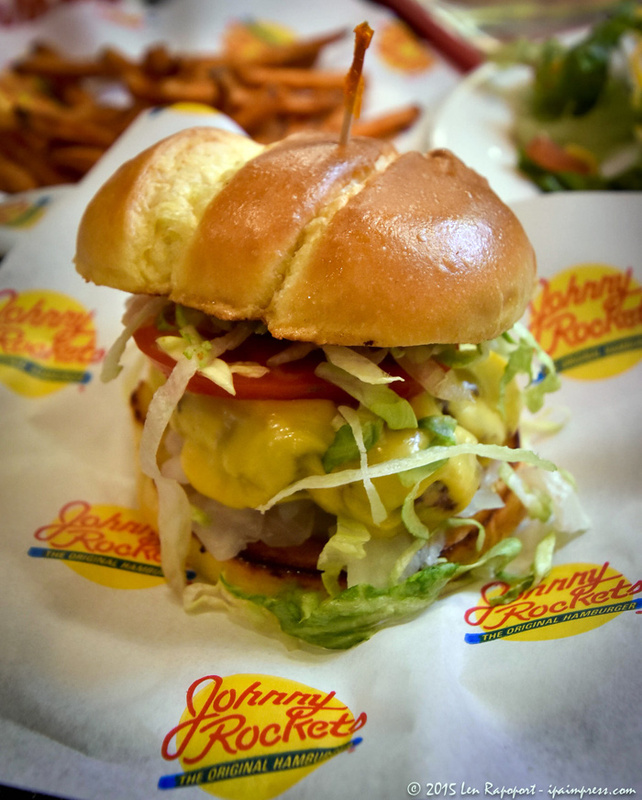 Well Johnny Rockets can deliver a freshly made burger, cooked from a ground beef “puck” and make it the way you want it at $5.95. As you can see in our photos and in our video, everything is made to order. 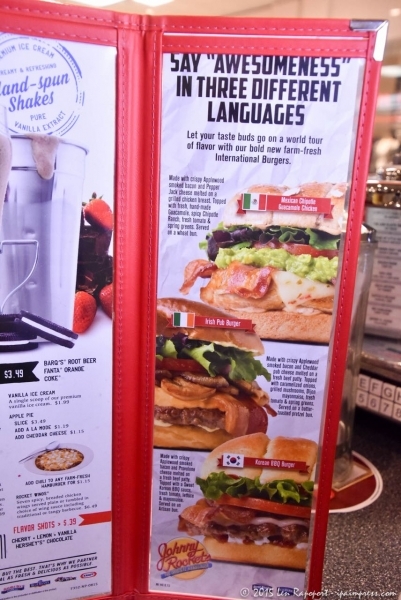 There are 13 variations and combinations on their burger menu, plus a number of specialty burgers including the three new ones the Mexican Chipotle, Irish Bub and Korean BBQ burgers. Now the best part is the value. For only $5.95 you can get my personal favorite the original burger. 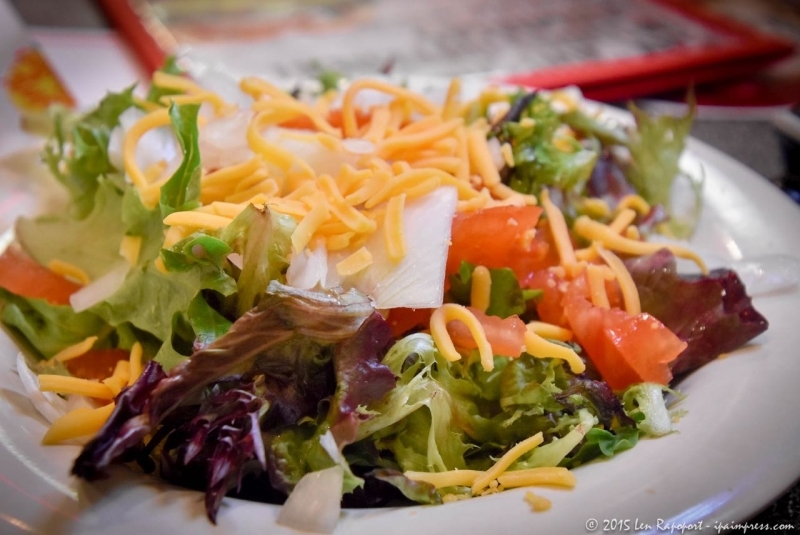 This has 100% natural beef, no fillers, fresh shredded lettuce, tomato, chopped onion, relish, pickle, mustard and mayo. I leave the mayo out to save a few calories but add loads of ketchup on the top. Their buns are great and remind me of the Hawaiian rolls they sell in the stores. 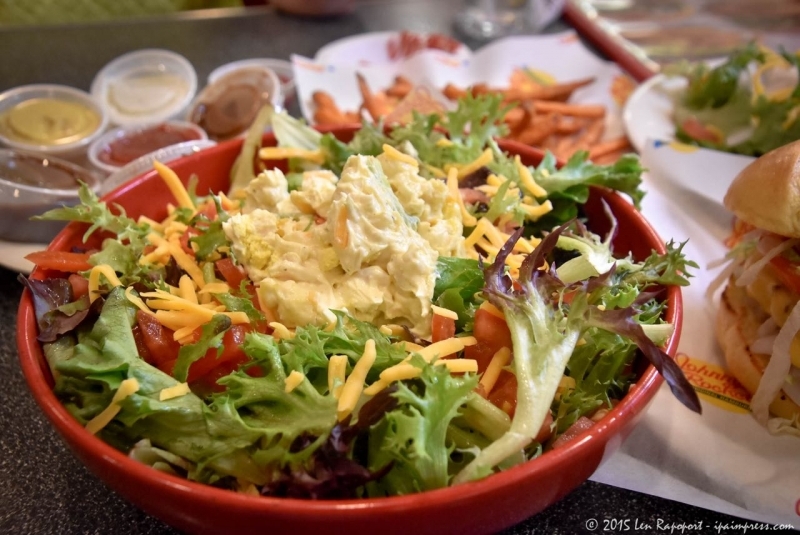 We ordered some of their sweet potato fries and my wife ordered one of their freshly made salads, no not the ones that are prepackaged in a plastic box with a package of dressing, this was made to order and we were even able to customize what went into the salad. They even made me a small side salad instead of the fries. 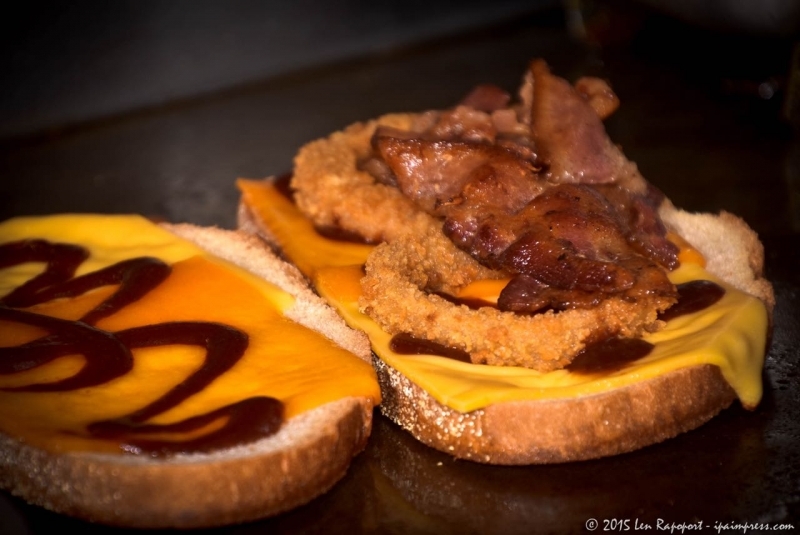 In our video you will hear our waiter Tyron, explain all the burger and fries options that include: American Fries, Cheese Fries, Chili Cheese Fries, Bacon Cheese Fries, Sweet Potato Fries and of course their Sour Dough Breadcrumb Crispy Onion Rings. 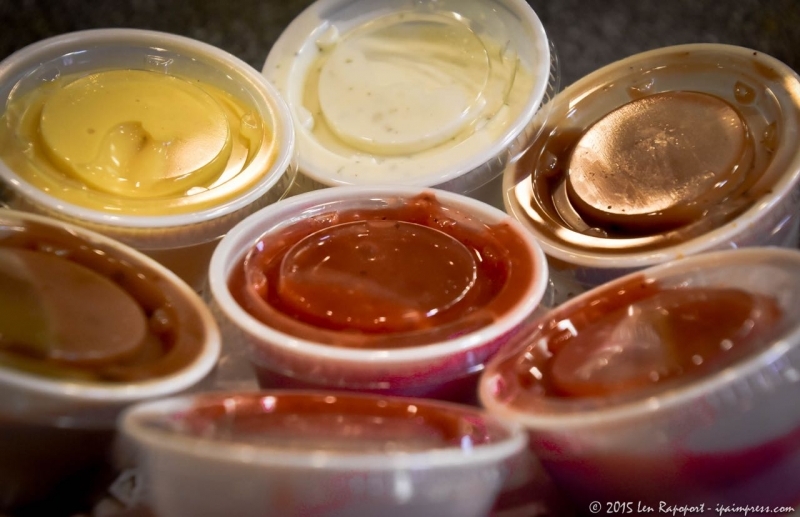 Now if you just want a side of Chili with your burger you can have it for only $1.15 extra. 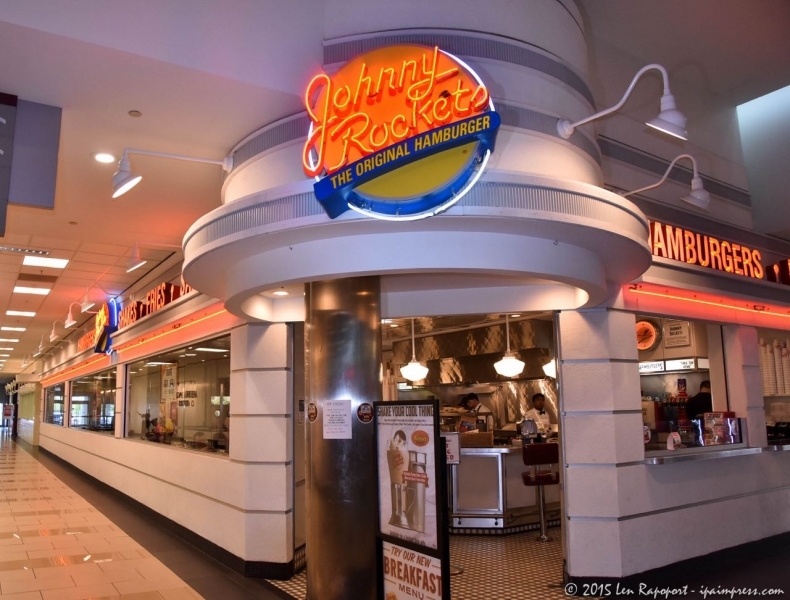 Johnny Rockets Monmouth Mall, Eatontown, New Jersey from lenrapp on Vimeo. 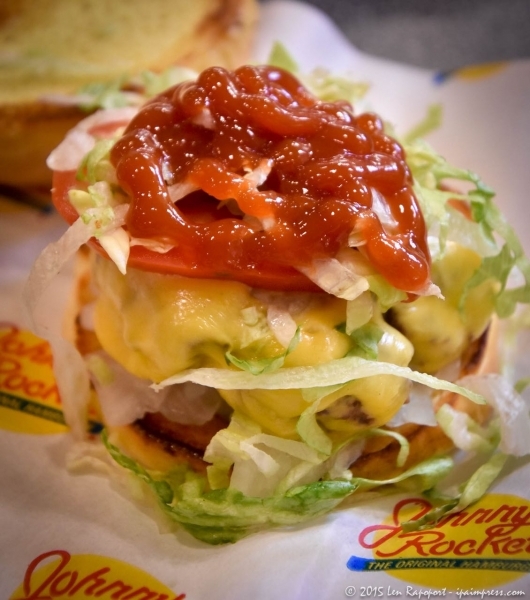 Now those that go to Johnny Rockets don’t simply go for their menu items, which are actually quite extensive. They also go for the experience. 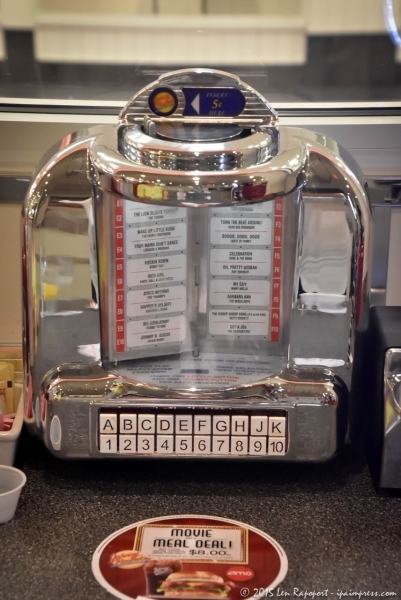 Where else could you go and listen to your favorite Doo Wop music from the 60’s at your table? 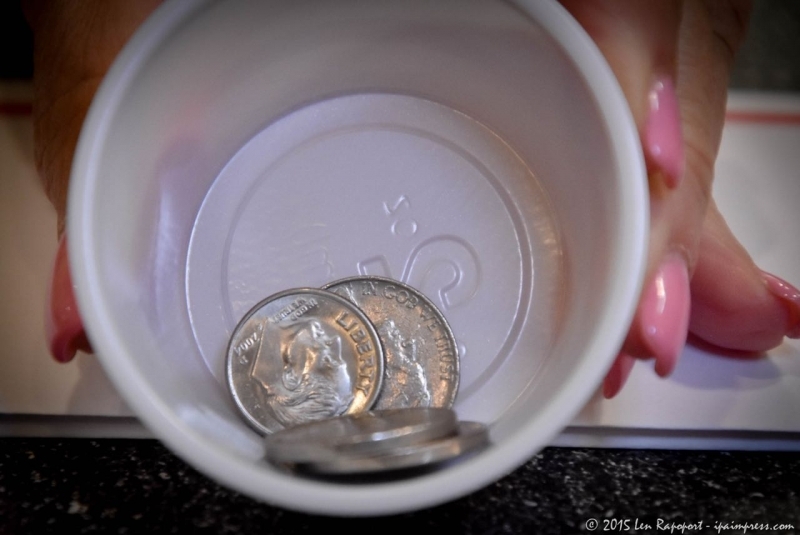 They even have a cup with nickels and dimes there for you to play your favorite selections…crazy, never saw that before anywhere. But the best part is every 30 minutes the servers perform for their guests as the lights begin to flicker and the music starts you know the show is about to begin. The crew exit from the kitchen door onto the floor of the restaurant and do their act. You can see this in our short video as well. Unfortunately due to copyright issues we had to substitute similar style music in our video. 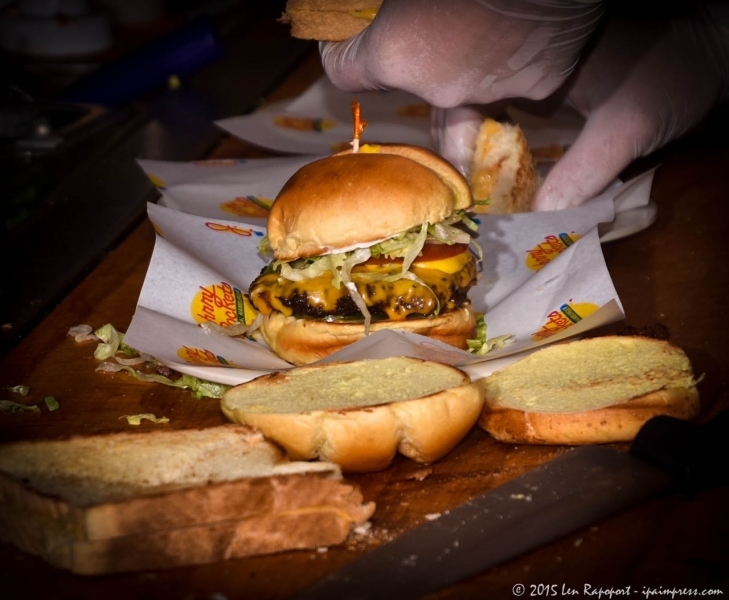 The atmosphere is friendly, you may have to wait as much as 10 minutes to get your burgers. He told me some customers that order from their mall window wonder why it takes longer to get their burgers. Ed advises those that are used to Fast Food Burger joints, that the JR burgers are made fresh to order. Once they realize this is not a “Fast Food Burger Joint” they really don’t mind the short wait. In the restaurant those at the counter or in a booth can enjoy the music of their choice and of course the crew that entertains them while they wait. 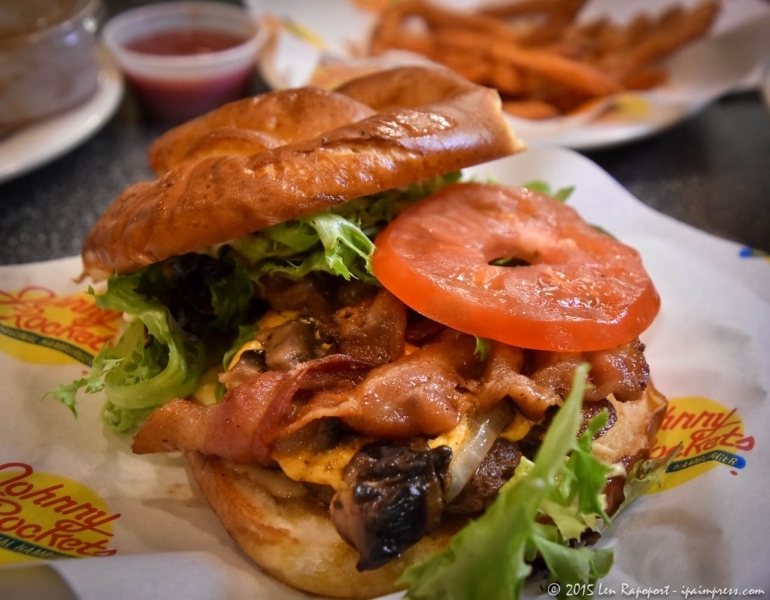 We were invited back to the Johnny Rockets in Monmouth Mall and we intend to accept the invitation and a chance to try to photograph some of their other menu options. They are not just a hamburger restaurant so those that like grilled chicken, they got you covered. 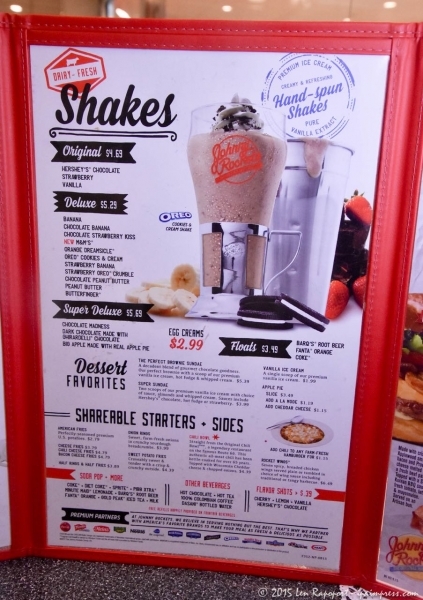 If you just want to go in for a Shake, well they have them too. 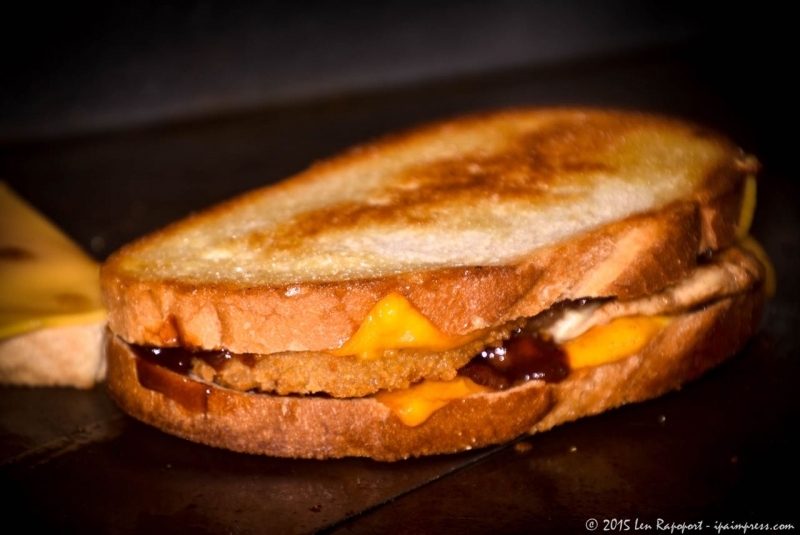 Want an old-fashioned Float, a Brownie Sundae, a slice of Vanilla Pie? Yup they serve them as well. For lunch or even dinner you can’t go wrong visiting a Johnny Rockets location. 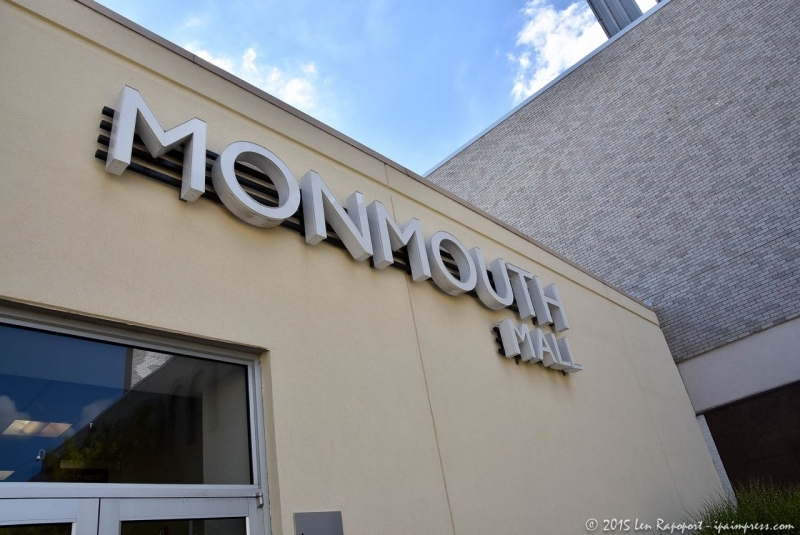 For us it is a treat because we don’t have a location closer to our home, but when we visit the Monmouth Mall, Woodbridge Center or take our next RCL Cruise, we know we can enjoy the food, the entertainment and the value. 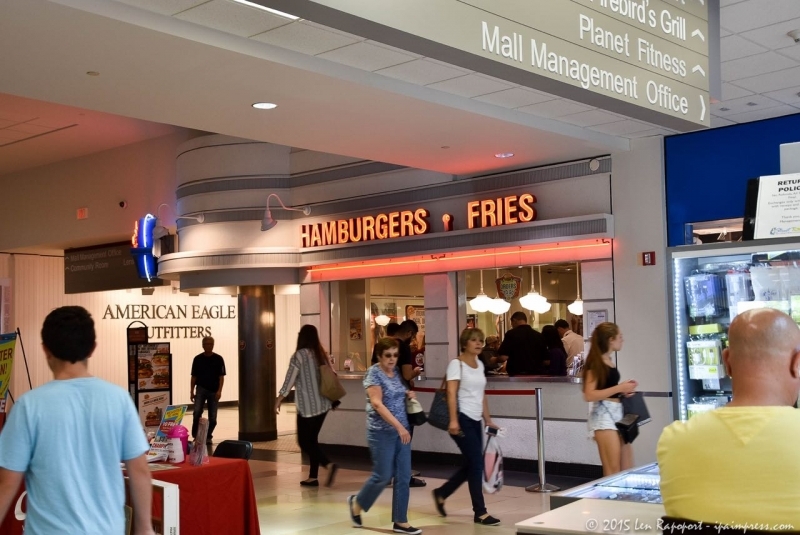 If you love burgers and fries, they also have all beef hot dogs too, then by all means stop in to the JR at Monmouth Mall and say hello to Ed DiSpirito their manager and be sure to tell him the Len Rapoport at the Hazlet News sent you.